Max had a small Cub Scout Day Camp this Saturday. Since Greg is one of the den leaders and I’m a mom, we ended up making a lot of the supplies for it. There was a lot of wiggling and figuring things out going on, but I’m going to pass what I learned on to you! 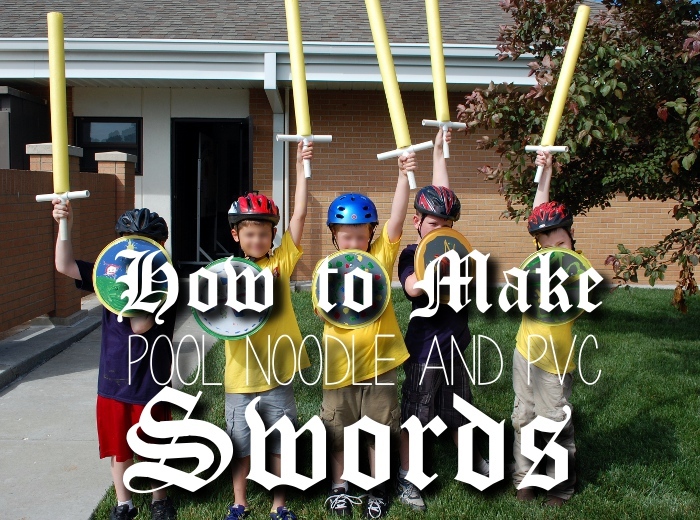 FYI: This is what we used and how we made these swords. You could definitely substitute some tools and materials, but the way we made them was fast, easy, and effective. 1. 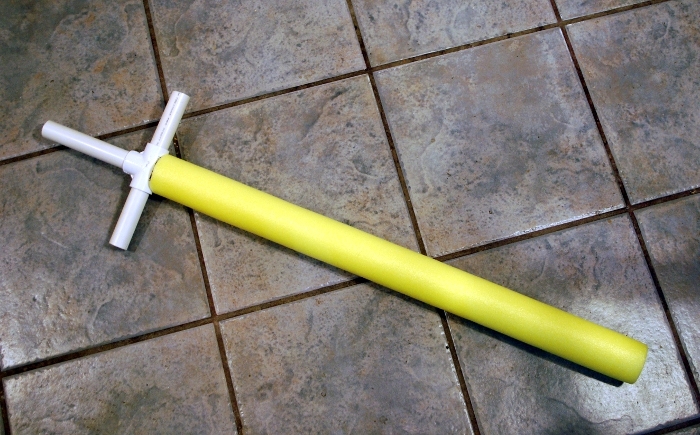 If you haven’t already, cut your (full-length) pool noodle in half. I used a steak knife. Set other half aside for another sword. 2. 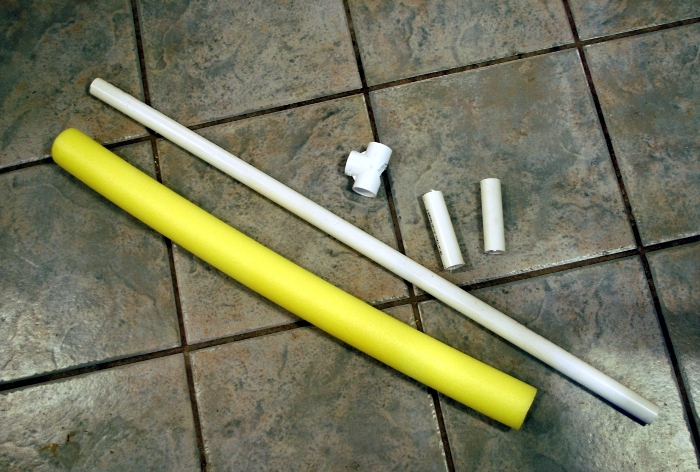 Cut PVC pipe into three sections: 34″ (or 36″, if intended for an adult), 4″, and 4″. Set aside or discard remaining scrap of pipe. 3. Using drill bit, bore through the top of the ‘T’ section of the connecting piece (so that the pipe can slide all the way through). 5. Slide the connector onto the pipe, cut side against the pool noodle. 6. Apply PVC glue to the inside of the connector (the sides that are still open) and insert the two short pieces. Use a wipe to remove any excess glue, allow to dry. There you go, easy peasy! ← 9 Year Celebration – Pattern Giveaway! I will have to try this! Hello from Make Bake Create. How fun are these??!!! Love the idea! Thanks for linking it at the Make Bake Create Party, Melissa! This was in the top 5 most clicked through posts at the party! I will be featuring it tonight!